Voyage ATL recently reached out to feature me in their new Thought Provokers section about being an artist in Atlanta. Read my interview in the link below. Thank you Voyage ATL! "Written in the Stars" was accepted into this year's Chastain Arts Center's Sights & Insights Group Exhibition. The show runs from June 15th - July 27th, 2018. The work was also featured on Chastain Arts Center's social media page! Yay! And if you were not able to back the project and would like to purchase images, you can check out my Etsy shop "Athea Eberhardt Photo". Feel free to email me with any questions or special requests. I look forward to seeing you at art festivals this year! I am excited to announce that I will be showing at my first out of state festival on Saturday Sept. 19th in Weaverville, NC! Weaverville is just north of Asheville, NC. The festival with be from 10 am - 6 pm in downtown Weaverville. I look forward to seeing you there! So I have finally created an etsy shop. www.etsy.com/shop/AtheaEberhardtPhoto You can view and purchase many of the pieces I have available at art festivals. If you would like to purchase a piece you saw at an art festival and it is not in my shop, shoot me an email and let me know. I will see what I can do for you. I am looking forward to this exciting new endeavor and reaching new audiences! I am pleased to announce that I will be exhibiting at two art festivals in May 2015. Hello. I am Athea Eberhardt, the owner of Athea Eberhardt Photography. I started doing local art festivals in 2013 to sell my fine art photography work. My father always had a manual 35 mm camera he carried around with him to photograph any nature scenes that would help inspire him for his paintings. I remember how heavy the camera was and also the magic for focusing the lens and sound of the “click” of the shutter when he would let me take a picture with it. Later when I was a teenager, my father bought me a little point and shoot film camera that I carried with me everywhere. I was the official “documenter” of all the events and fun my friends had in high school. My senior year I decided I wanted to be a photographer and started looking for art schools to hone my craft. After researching on the web, I narrowed down my search to two schools, The Art Institute of Atlanta and The Academy of Art University in San Francisco. I couldn’t find any art schools in Iowa and figured that if I had to leave home I would prefer to go somewhere warm. My mother and I took a long road trip down from Iowa to visit The Art Institute of Atlanta and I fell in love with the city and the school. 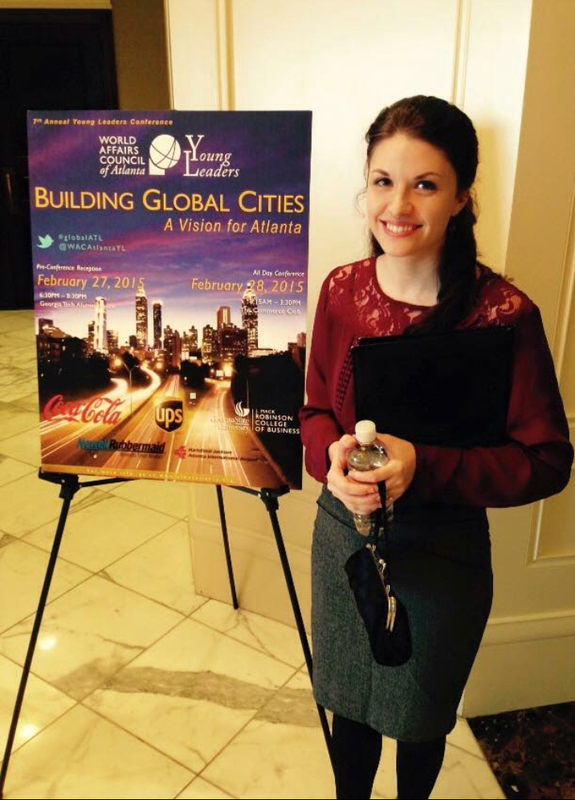 After graduating high school, I moved to Atlanta to start college. I graduated four years later with my bachelor of fine arts in photographic imaging and a wonderful photographer boyfriend who later became my husband. Kickstarter: After graduating from college with a great portfolio I had trouble figuring out exactly what I wanted to do with it. My father kept encouraging me to show my images at art festivals like he had been doing with his paintings for thirty years. Finally I decided to give it a try. I started a campaign with kickstarter, a popular crowd funding website, to raise the money to begin doing art festivals. People donated money to my cause and received prints in return. It was a lot of work researching for my start up, pulling together the campaign, raising awareness through social media and eventually sending prints to all my donors. To my amazement my project was funded. It really helped to boost my confidence in my work and my endeavor. I had people as far away as Germany back my project. In the fall of 2013 I did my first art festival. Art Festivals/Atlanta as a Global City: From Sept 2013 to Sept 2014 I did as many Atlanta art festivals as I could to see what feedback I could get from the public as well as talk to fellow artists about their experiences. I had known going into the festivals that Atlanta is not known as an “art” city. The art scene also doesn’t seem to represent the diversity of culture that we have in our city. I had known from years of working in retail that Atlanta is a tourism and conference city. We have repeat guests from around that world that frequent our city while conducting and growing their businesses. I also learned Atlanta is saturated with festivals every year. Most artists at the shows would tell me how much more revenue they made at in other cities and especially other states. It has inspired me to expand and travel further this year to see what other markets yield. I call my photography allegorical portraiture. I like to tell a story or a piece of a story with each of my photographs. As if you had opened a book, read one page and this was the image your mind formed from that tidbit. The location is just as important as the model in establishing the tone of the image. I spend hours combing through thrift stores for costuming and props, as well as researching and travelling to locations to find just the right spot for each image. I feel that my work has a universal appeal because it evokes the emotions and the imagination of the viewer. I give you the start of a story and your personal views and experiences finish the story. My last show of 2014 ended on a high note. The Atlanta Arts Festival is in Piedmont Park every September. It is a large show with over 200 artists and 25 digital art/photographers. I was very excited to be accepted and even more excited when I was awarded the best in photography ribbon for the show. Conclusion: Through the ages art has been a constant. It is how we learn from and remember cultures past. Maybe the art we create today will be how the future generations remember us. I hope to see you at art festivals, supporting your local artists and creating your own memories. To gear up for art festival in 2015, I have been working on a new series. My Dream Family series is nearing complete for the spring 2015 festivals. 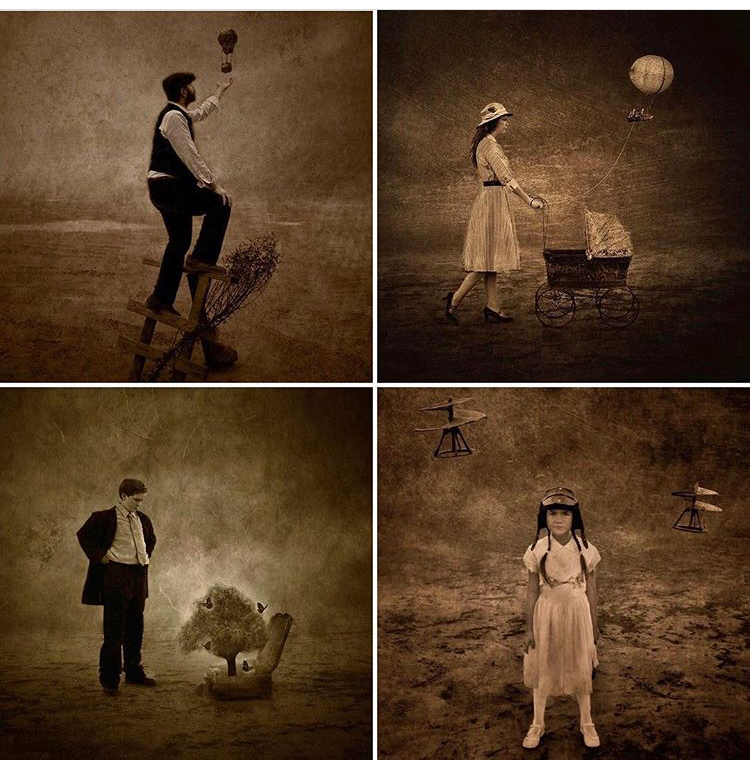 So far, I have Dreams (the father figure), Dream Daughter (the inventor), and Dream Wife (the perfect mother). I am looking forward to working on the next edition to the family! 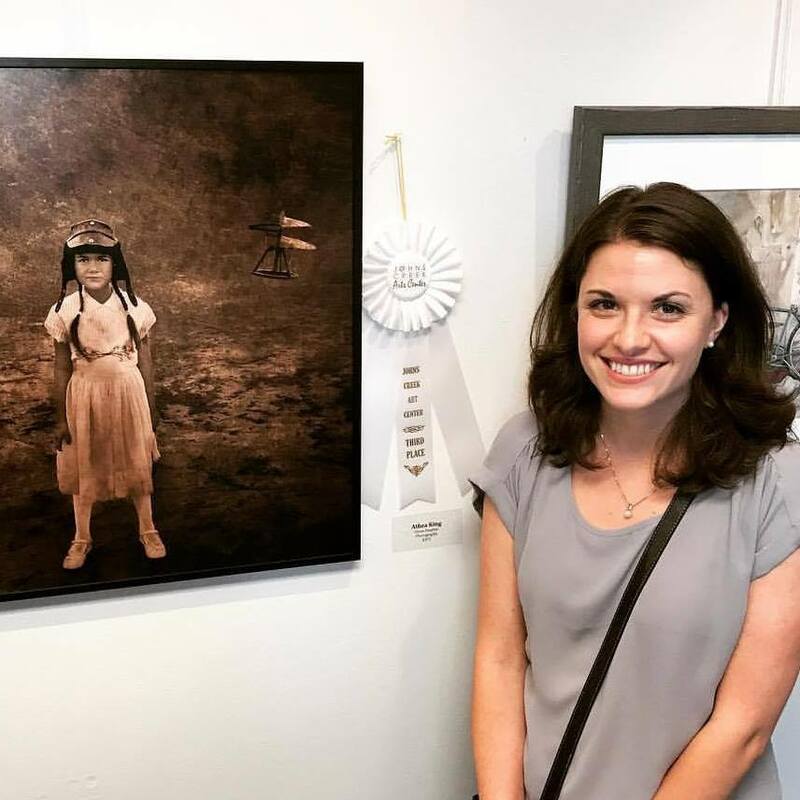 My last festival of the season ended on a high note, I was awarded the "Best of Photography/Digital Art" ribbon at The Atlanta Arts Festival in Piedmont Park on Sept. 13th, 2014. It was a large show with over 200 artists and 25 photographers/digital artists. I feel very blessed and just so gosh darn excited to be recognized for my work. It has been a dream of mine to share my photography with people through the atmosphere of art festivals. My father is a wildlife artist and I grew up attending his art shows and festivals displaying his paintings around the Midwest. After graduating college in Georgia, I have been looking the best way to get my work to the public. I love art festivals, not only to showcase my work, but also to meet interesting people and be able to discuss my work face to face. After successfully funding a Kickstarter campaign in summer 2013, I started showing art festivals around the Atlanta area. 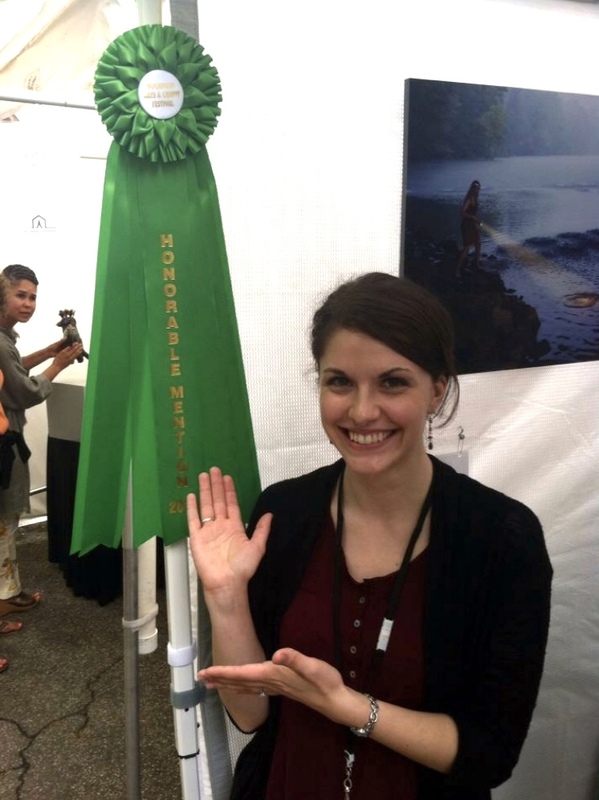 I received the Honorable Mention award at the Buckhead Spring Arts and Crafts festival in Chastain Park, May 10th and 11th, 2014. 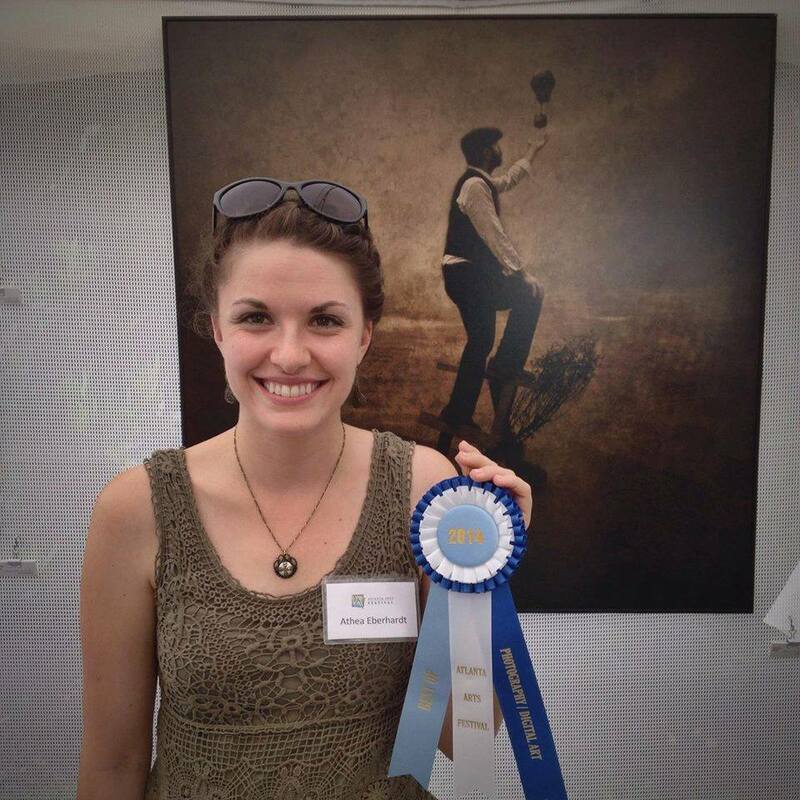 It was my first award at the art festivals and I am pretty excited! I will be showing my photography at the Piedmont Park Arts Festival August 16th & 17th. I will also be at the Atlanta Arts Festival September 13th & 14th. Fingers crossed for good weather and a good crowd. Hope to see you there! Welcome to my blog! I will be updating with the location and dates on the local art festivals I will be attending.